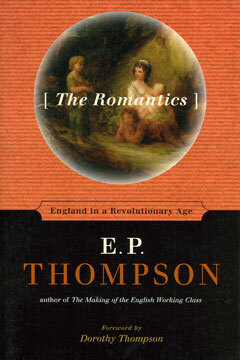 A fascinating and original view of the turbulent 1790s, The Romantics is the last work of the acclaimed historian E. P. Thompson. Combining his incomparable knowledge of English history with an interpretation of British literature of the late eighteenth and early nineteenth centuries, Thompson traces the intellectual influences and societal pressures that gave rise to the English Romantic movement. Writing with great passion and literary force, Thompson examines the interaction between politics and literature at the beginning of the modern age, focusing in on the late1790s—the time of the French and American revolutions—through the celebrated writings of William Wordsworth, Samuel Taylor Coleridge, and Mary Wollstonecraft.